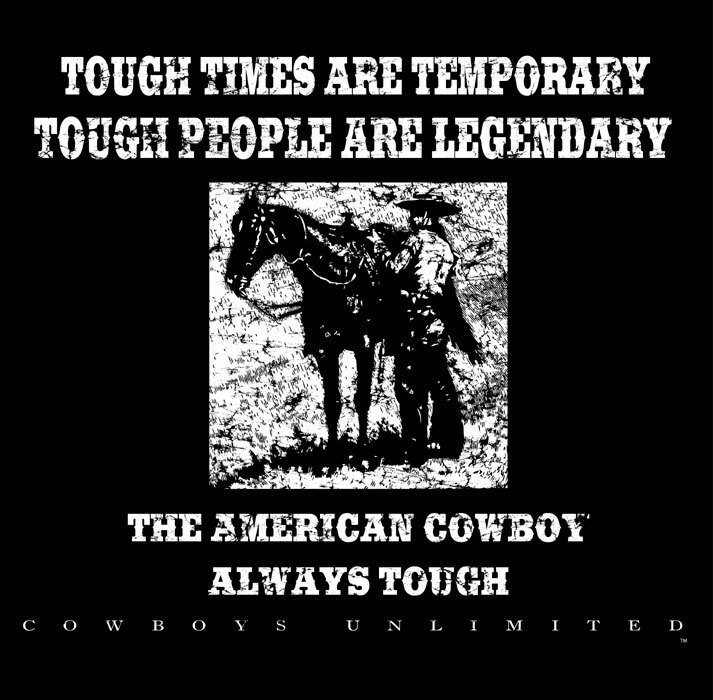 "Always Tough" American Cowboy design is on back of T-shirt. "Tough times are temporary. Tough people are legendary. The American Cowboy: Always Tough."